Established since 2002, Anthem Engagement has built an enviable reputation for providing business intelligence to a growing number and range of clients. 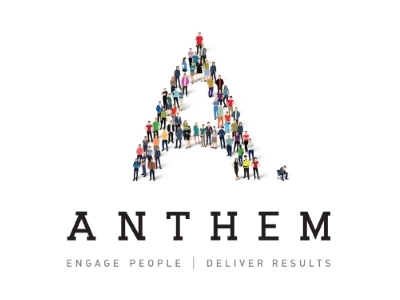 As a leading employee engagement and business change expert, Anthem Engagement have processed over 1.5 million surveys for an impressive list of household name clients. After 10 years of campaigning about staff engagement and its importance within businesses that the government, in line with the involvement of David Cameron, launched its 2012 campaign “Engage for Success” and our MD Steve Smith has been recognised and selected to be the Employee Engagement Guru for Lancashire. Hundreds of organisations have got involved, so far contributing over £1 million in time, resources and expertise. Steve is now using his years’ experience to drive this important and crucial initiative throughout Lancashire. Anthem Engagement work with organisations of all sizes to determine what their people feel, what they think and what they do in their role. They assess their motivational levels and management & leadership support and provide assistance in delivering actions to make each business a better place to work. Engaged employees have 51% higher productivity when compared to disengaged employees, and they outperform them by 20-28%. They are less likely to be absent from work and generate 2.5 times more revenue. On top of these benefits, it is clear that disengaged employees are far more likely to abandon their posts at the first opportunity. My one top tip is to inspire your team to become engaged. An engaged employee is one who is both absorbed and enthusiastic about their day-to-day work and the direction of the organisation as a whole. They are invested in the company’s reputation and feel valued in return. This inevitably results in a measurable increase in both individual and organisational performance.